Valentines is fast approaching once again. A time of year when everyone makes that extra special effort for their loved one. Whether you hate it or not, there is no escaping it. 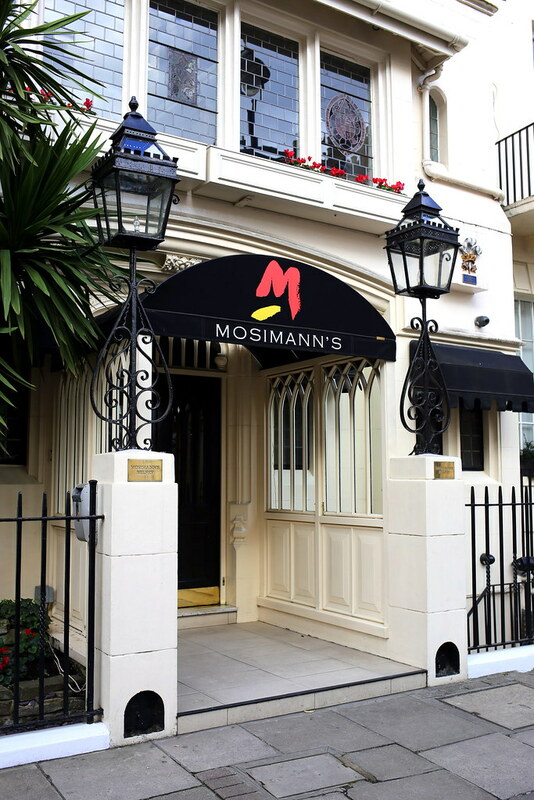 I was very excited as I had booked us dinner at Mosimann's, one of London's most prestigious private members clubs. 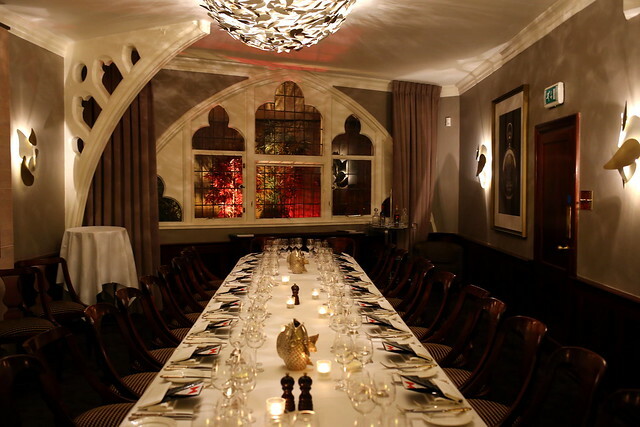 Started by Anton Mosimann, who earned two Michelin stars whilst head chef at The Dorchester; the club is housed within a rather beautiful converted Presbyterian church in Belgravia. 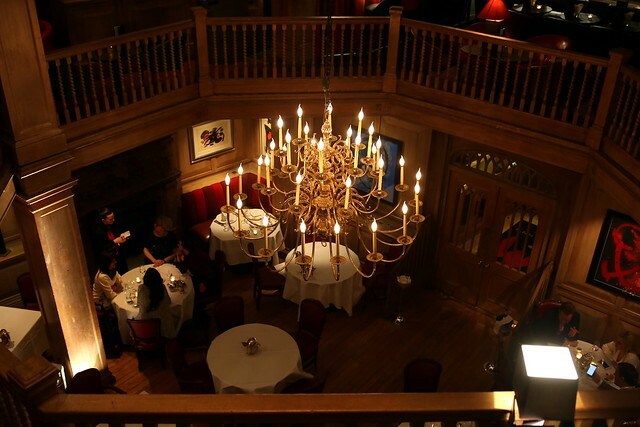 The club is made up of a main dinning room in the heart of the old church, but it is it's nine private dinning rooms that make it rather special. 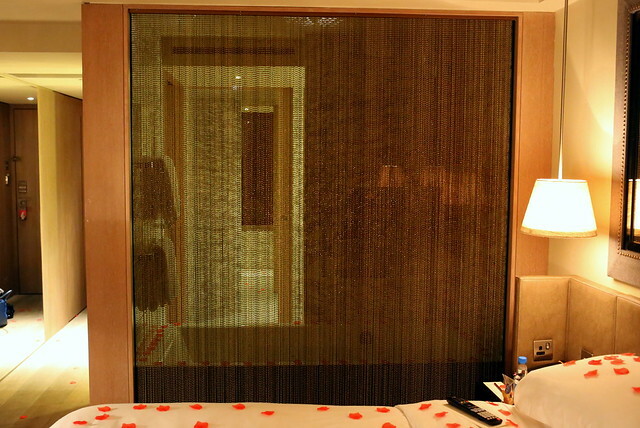 Each room is sponsored by a brand, and decorated to their taste, usually inline with their brand. 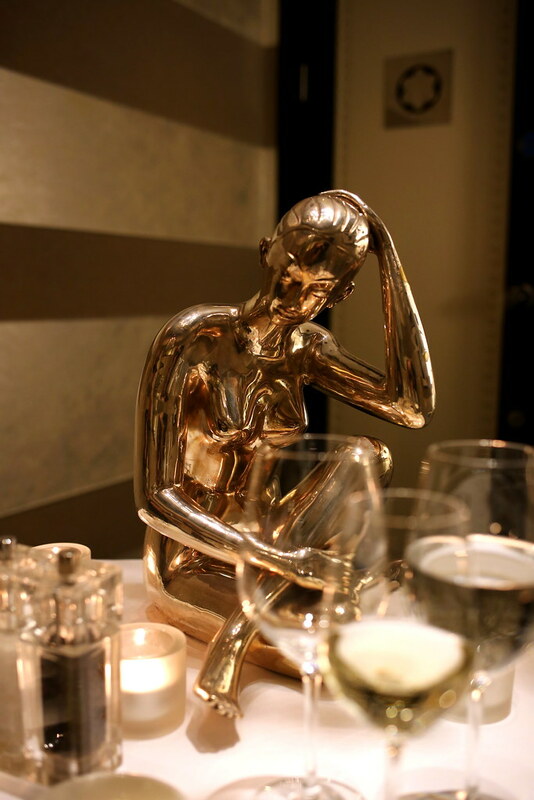 The Lalique room represents the beautiful glass designer perfectly. 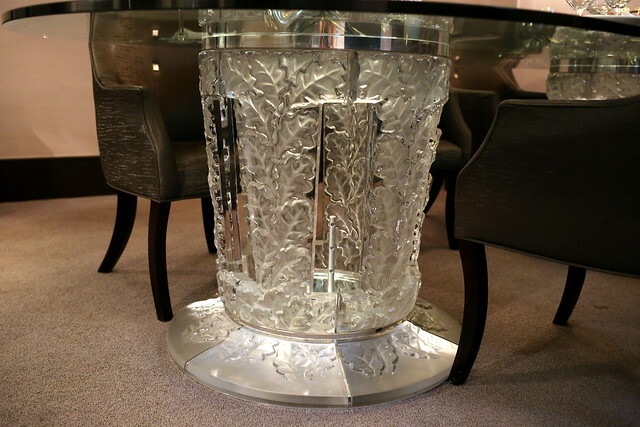 From the table top to the chandelier, right through to the table legs. It is a simply mesmerizing room. However, my favourite was the Parmigiani Fleurier Room. 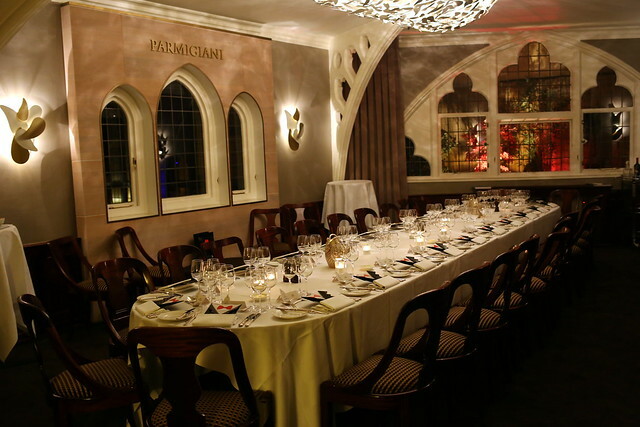 Set in the corner of the church walls, the stained glass windows on display, along with the refined classic design the Swiss watchmaker, made for a truly luxurious dinning space. I would love to host a cocktail party here- imagine dressing up in your finest, overlooking the world through those windows. 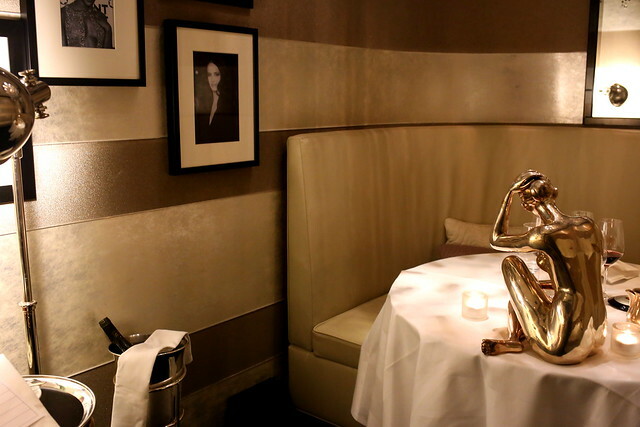 Although whilst you wouldn't want to eat your dinner here, the womens bathrooms are pretty incredible too. 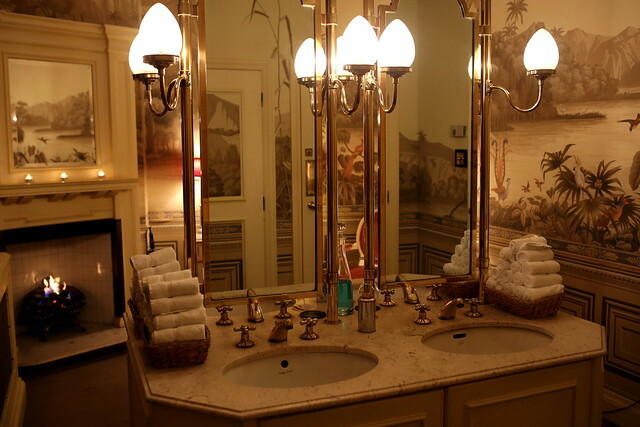 A real, roaring fire in the bathroom? Can I move in? 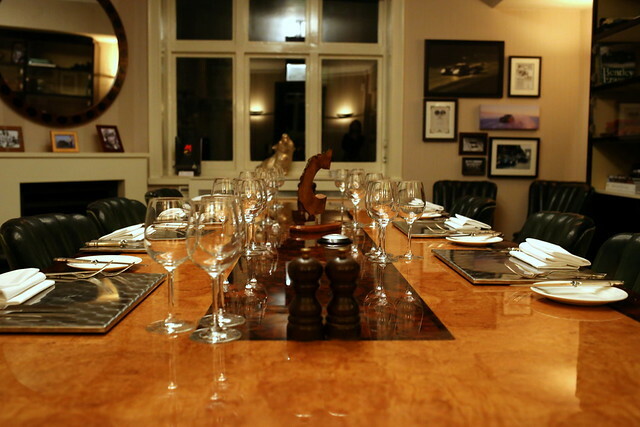 However for ourspecial occasion, there was only one room that would really cut it. 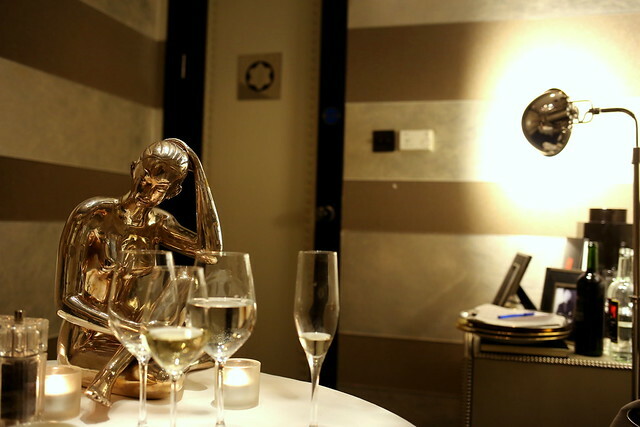 The MontBlanc room is the smallest private dining room in the world, with one table for two, you have utter privacy, away from prying eyes and ears. A beautiful and classic room, with oyster shimmer walls, stacked cushions and the centre showpiece chandelier created by Montblanc for the room; it is a dinning experience you simply can't have anywhere else. As you are away from everyone else, service is summoned by pushing button, so you can control when and how much you are alone. Dan started with lamb sweetbreads, which if don't know, come from the pancreas, which may sound a bit off putting, but if you can move around that fact, you'll find they are delicious. 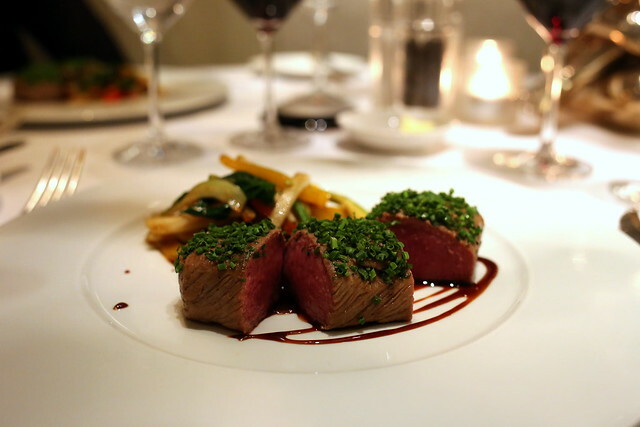 Known to be extremely tender and juicy, it is a fantastic meat and here a equally fantastic dish. I had Marinated Scottish Salmon and Dorset Crab Lemon Dressing. I'm a huge fan of salmon and this really didn't disappoint. Just enough lemon to add sharpness without overpowering the strong flavours of the salmon. 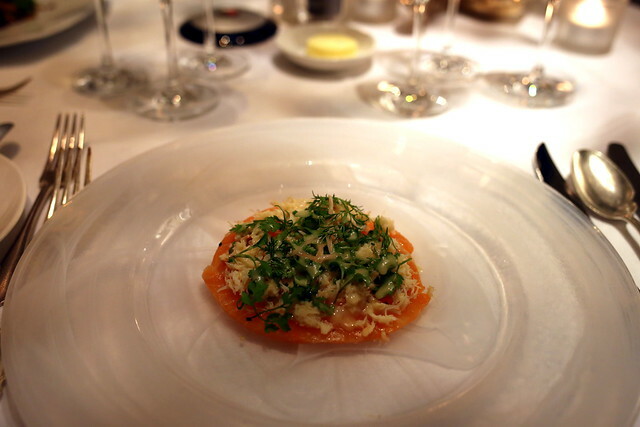 After pushing our button for table service, our middle course arrived. 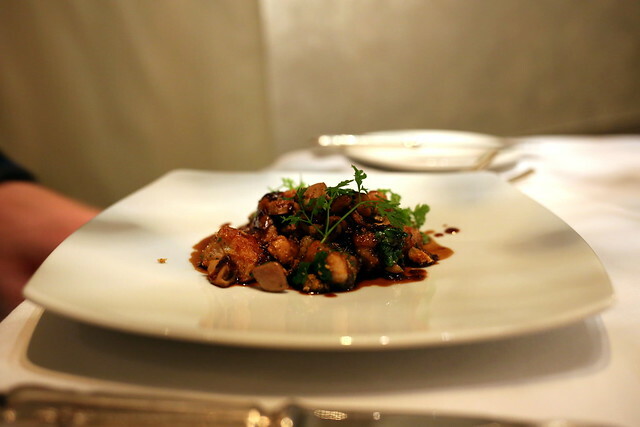 We had to have the Risotto ai Funghi, which has been on the menu for over 2 years. Now I have to say, I'll never normally order risotto off a menu, as I always think risotto is just a bit meh... however this was just gorgeous. I always use Dan as my taste-o-meter as he is usually always unimpressed/"it was ok", so when he says something was great, it really was. Well today Dan said it was great. In fact he even sang it's praises. 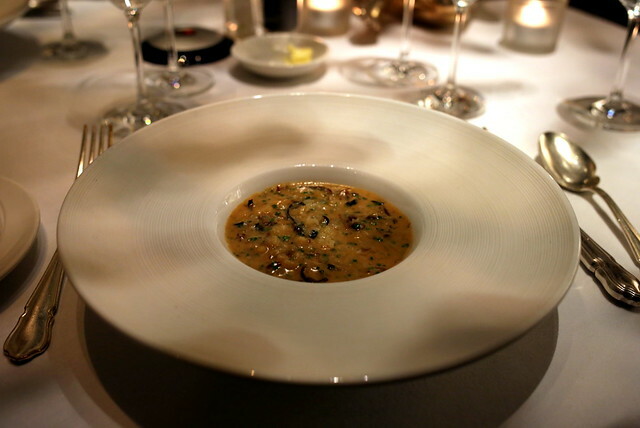 Yes, the risotto here really is that fantastic, you can't not order it. By this stage I was rather loving the private environment. You could talk as loud (which for me is a natural instinct) as you liked, and as I felt necessary just to prove we were alone, was to get up an do a bit of a dance. 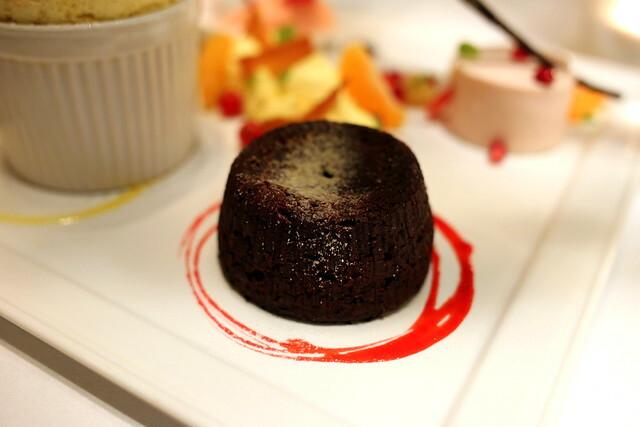 Finally we dinned on a selection of desserts, including my favorite, souffle. 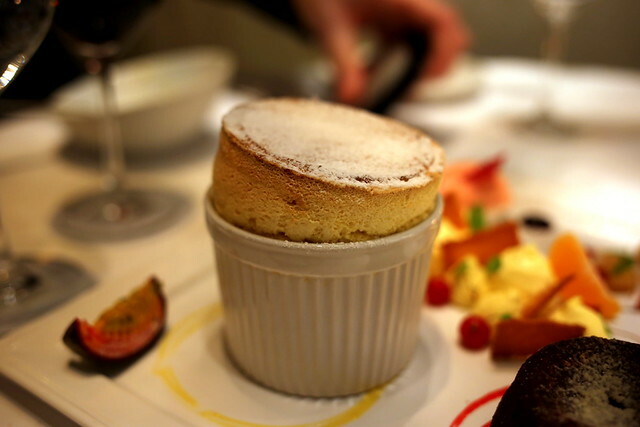 I'm a bit of a souffle snob as I love it so much ,yet have had so many bad ones in my time. However I have to say here was one of the best I've had. 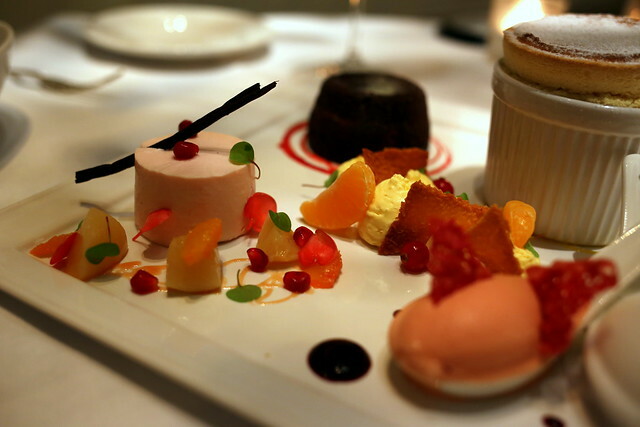 The food at Mosimann's is truly is exceptional, right from the first to the last course. 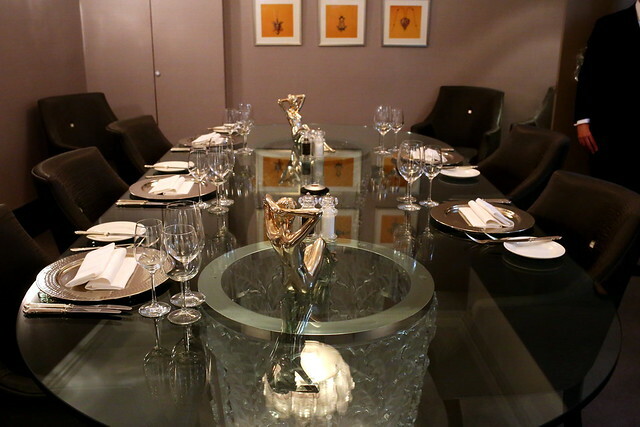 The MontBlanc room is so romantic it really is a must if you want to have a very special occasion with your date. 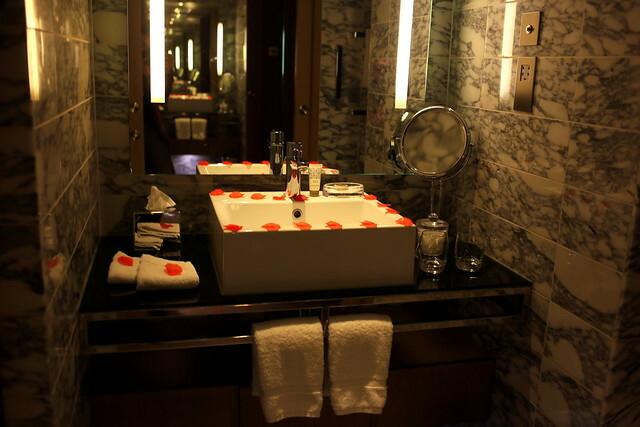 You'll feel like you are royalty with that much privacy and on hand service, which if your there for Valentines day, every girl should feel like a princess... I know I know... cringe of me! What can I say, cupid got me. Which was just as well, as after we said our goodbyes to our little room, we headed off to another private room round the corner. 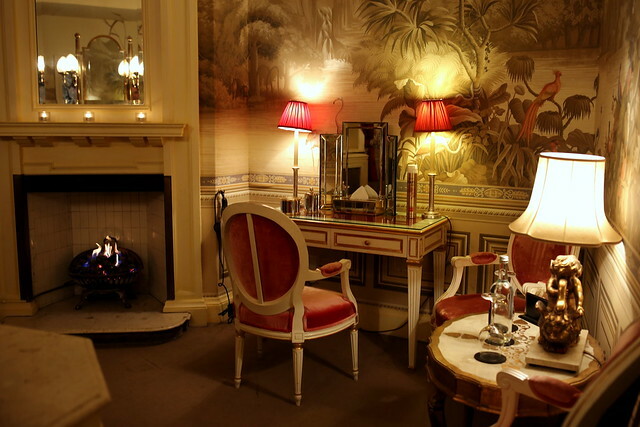 This time, a hotel room at Belgraves. We opened the door only to become very shocked. 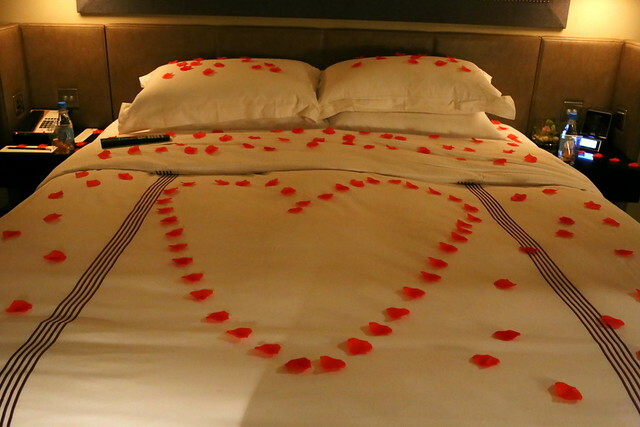 The hotel had gone to so much effort, which seeing as it wasn't strictly Valentines, yet they had listened and made the thoughtful effort to go all out. 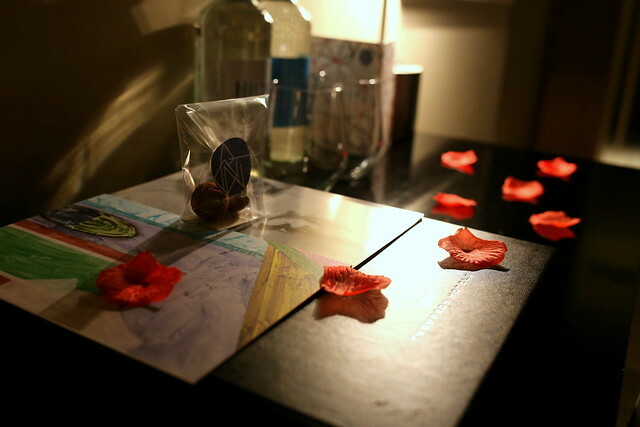 Every inch of our room was covered in rose petals. 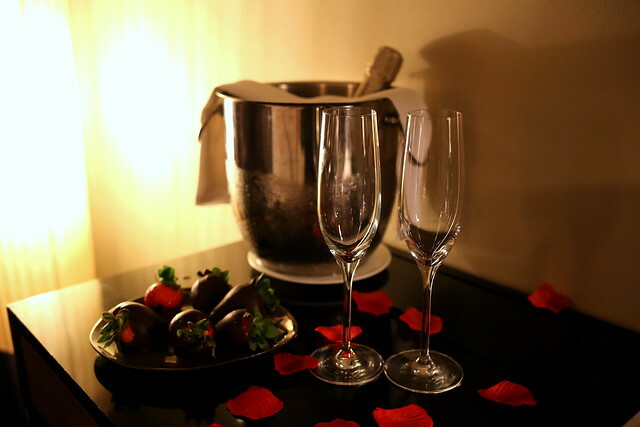 Chocolates, strawberry's and champagne filled the room. The hotel really had made it truly Valentines Day. 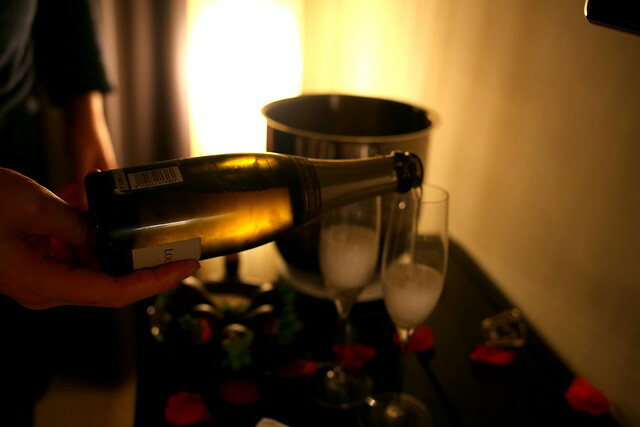 We sipped on champagne whilst snuggled up on the sofa watching the world go by down below in Belgravia. Valentine's doesn't have to be confined to just one day a year. 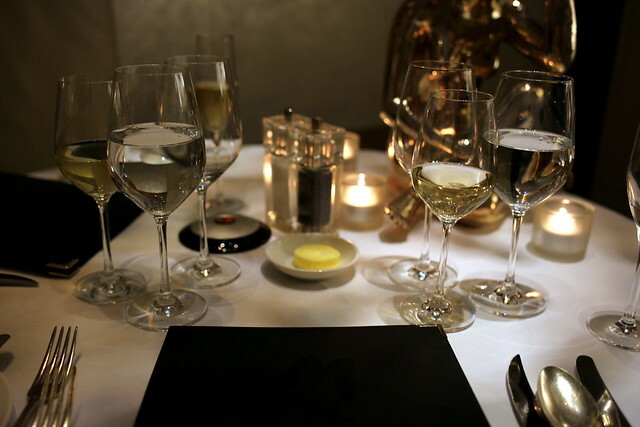 Really we should be showing the one we love at any point in the year, so I say just go and book yourself dinner and a hotel one day midweek and enjoy yourself like it's Valentines. 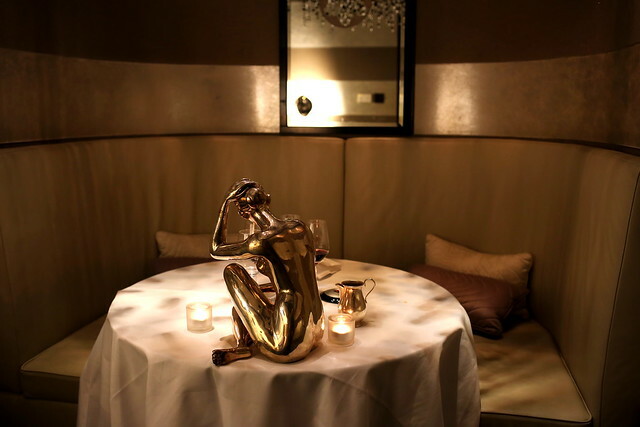 However have fun this Sunday 14th too, whether your alone or with someone, go on and treat yourself. I know I'll be spending it with a hunky man or two. Mr Ben and Mr Jerry. Oh yeah. oh m god !!!! only in dream !!! This looks so amazing! 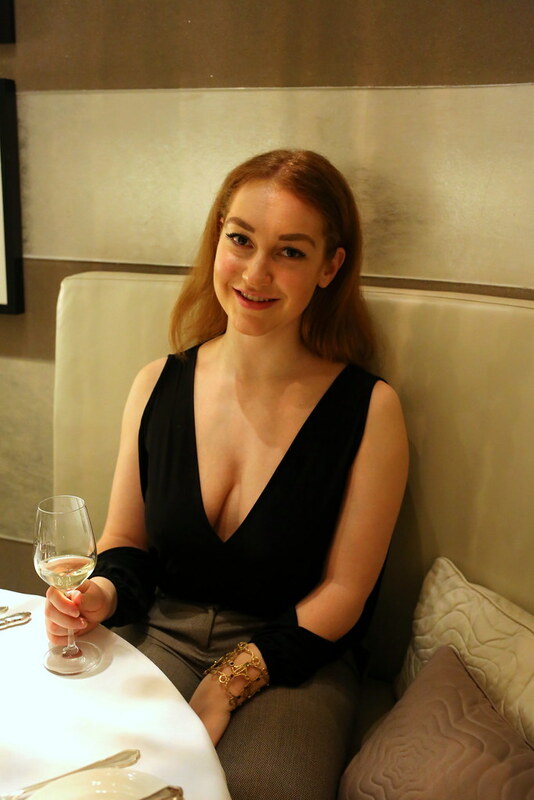 I'm having a quiet valentines this year, as we both went way over our budget in Japan and I am getting so jealous of your amazing meal and stay! 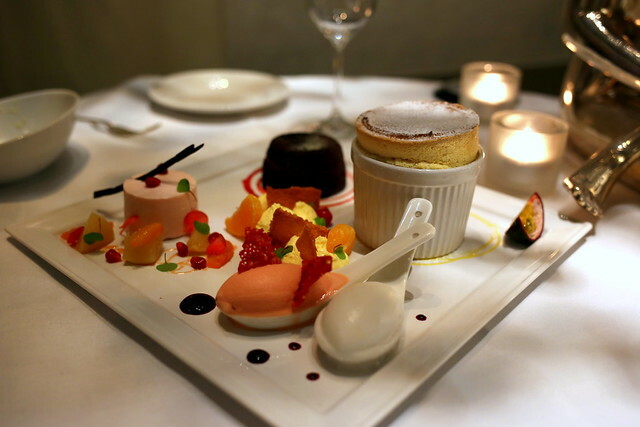 How deliciously romantic - a perfect valentines day! I do rather adore Valentines Day if only that it reminds everyone to appreciate their better halves! I am totally agree with you on this point "Valentine's doesn't have to be confined to just one day a year. Really, we should be showing the one we love at any point in the year". So we should express our feelings and care every day to make each day a valentine day. That's the perfect way to celebrate it.